The best time I have in the kitchen is when I am getting all my bases started, the prep time as you call it. Slicing peppers and onions, prepping the spices, peeling the veggies, all that believe it or not actually feels very serene to me. 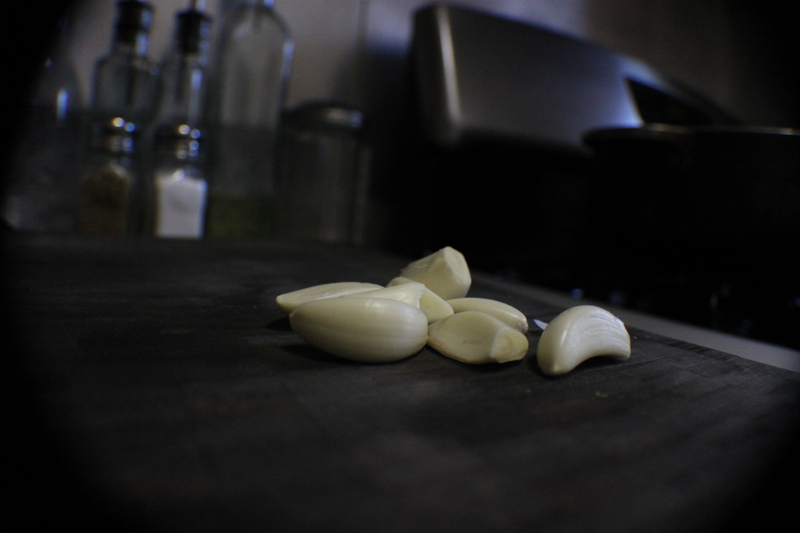 More than anything though I love peeling and chopping ajo, that’s Spanish for garlic. I guess because for me each little clove holds the promise of powerful flavor possibilities. I can mince it, chop it, slice it, dice it, keep it whole, pair it with butter, whatever I do it will not disappoint. It’s like the character actor of the culinary world, it makes things better. My favorite thing to make with garlic is a pan roasted chicken with whole and diced cloves, simply delicious.